The process of implementing a damage detection and characterization strategy for engineering structures is referred to as Structural Health Monitoring (SHM). Here damage is defined as changes to the material and/or geometric properties of a structural system, including changes to the boundary conditions and system connectivity, which adversely affect the system's performance. The SHM process involves the observation of a system over time using periodically sampled dynamic response measurements from an array of sensors, the extraction of damage-sensitive features from these measurements, and the statistical analysis of these features to determine the current state of system health. For long term SHM, the output of this process is periodically updated information regarding the ability of the structure to perform its intended function in light of the inevitable aging and degradation resulting from operational environments. After extreme events, such as earthquakes or blast loading, SHM is used for rapid condition screening and aims to provide, in near real time, reliable information regarding the integrity of the structure. The system uses the latest weak motion sensor technology in a robust ocean bottom installation. 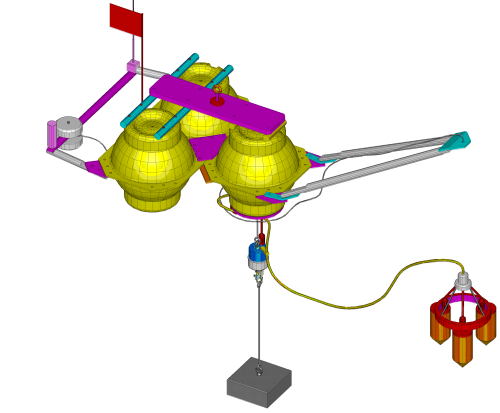 The three-footed sensor package shown is designed to sink into a sandy sea floor, affording excellent coupling to ground movements with little interference from water motion. Digitizer and communications electronics is housed in a separate unit which floats above the sensor package. A single internal accelerometer or a combination of up to three (3) high- speed external digital accelerometers to measure the acceleration of the “G” force shockwave against time. The data is processed on the on-board processor to distinguish the difference between typical industrial movement (trucks going by, locomotives, ground work drilling etc) and actual shock waves, or “G” forces. When identified, the system shuts down supply of hazardous materials bringing the manufacturing to a complete stop. New instrumentation has been sought to monitor this emerging situation and included finding suitable locations within built up areas to accept and install earthquake monitoring systems. 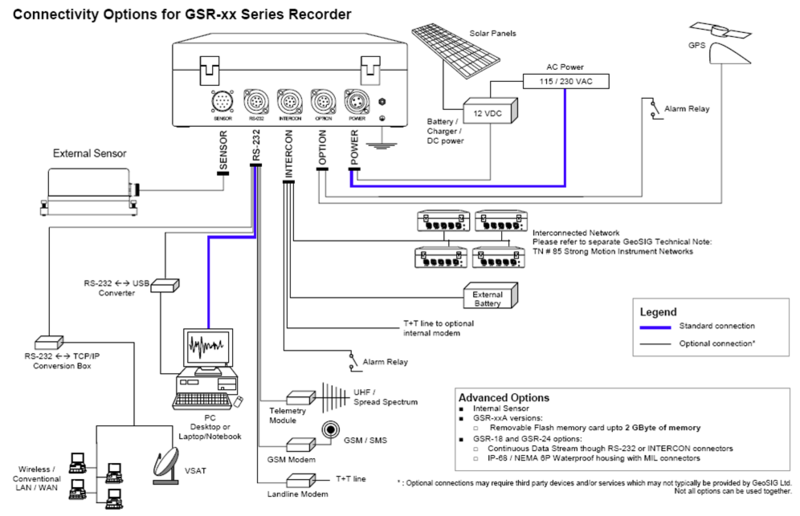 The NetQuakes seismographs specification requires access the Internet via a wireless router connected to an existing Broadband Internet connection. The seismograph then transmits data to the USGS only after earthquakes above the magnitude of around 3, but will not consume any significant bandwidth and should require only minimal maintenance. While enhancing the Strong Motion Network coverage in this seismically high-risk area, the measurements improve also the ability to make rapid post-earthquake assessments of expected damage and contribute to the continuing development of engineering standards for construction projects. They may well also shape future requirements within other urban areas over a longer time period. Monitoring and Rapid Response System that, in case of an earthquake, measures the local accelerations, generated a detailed shakemap, compares the accelerations with the design limits of the facilities and generate alarms accordingly. The supplied instrumentation consists of field stations with borehole accelerometers and intelligent seismic recorders with associated peripheral equipment designed to work under the harsh environmental conditions. In addition a system central cabinet is supplied featuring hardware and specialised software to facilitate full configuration, operation and interfacing within the SEIC's local and remote systems. 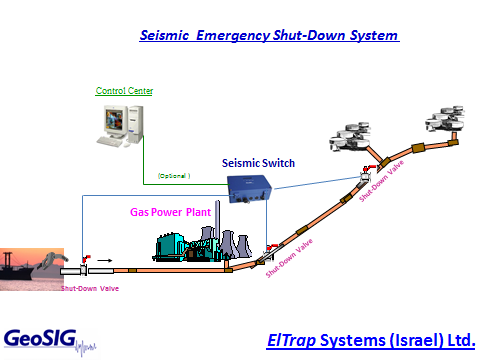 The outputs of the EWS comprise of real time data streams from remote stations, processing of these streams and generating an earthquake alert of a destructive seismic earthquake, distributable to several institutions enabling vital information to be supplied to relevant officials and agencies. The outputs of the RRS consists of processing of onsite seismic data continuously, seismic event triggered SMS messages from remote stations summarizing seismic event parameters, evaluation of incoming event parameters and processing these data to obtain damage estimation and event severity distribution across the metropolitan area, distribution of these results via real-time communication to relevant officials and agencies. Direct Measurements Inc (DMI) develops and produces wire free sensors and portable devices used to measure and predict the structural health of operating systems in the fields of aerospace, civil infrastructure, and energy systems. 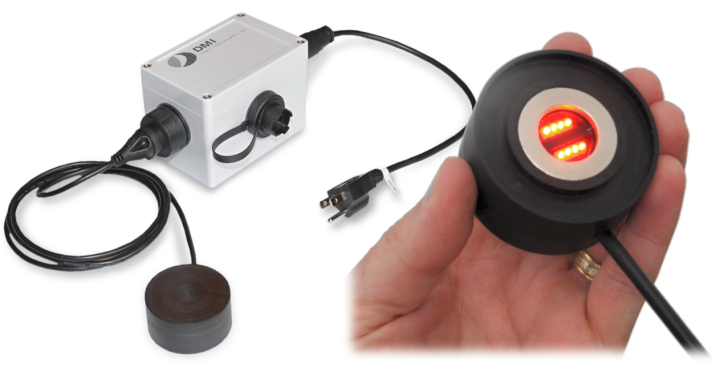 The DMI product line is the Dual Purpose Sensor (DPS) for strain and fatigue crack measurement on structural components. The DPS system consists of a gage that is bonded directly to the structure, a small sensor head that is mounted over the gage, and a control hub that contains hardware for power, data collection & processing, and communications.